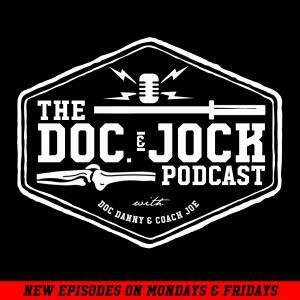 On Episode 214 of the Doc and Jock Podcast Dan Doty joins the conversation to talk about men and how to optimize your manliness from the inside out. To find Dan head over to http://www.dan-doty.com/. There you will learn about Evryman, The Evryman Podcast, Dan’s expeditions, writings, work in adventure filmmaking and his efforts with young men.